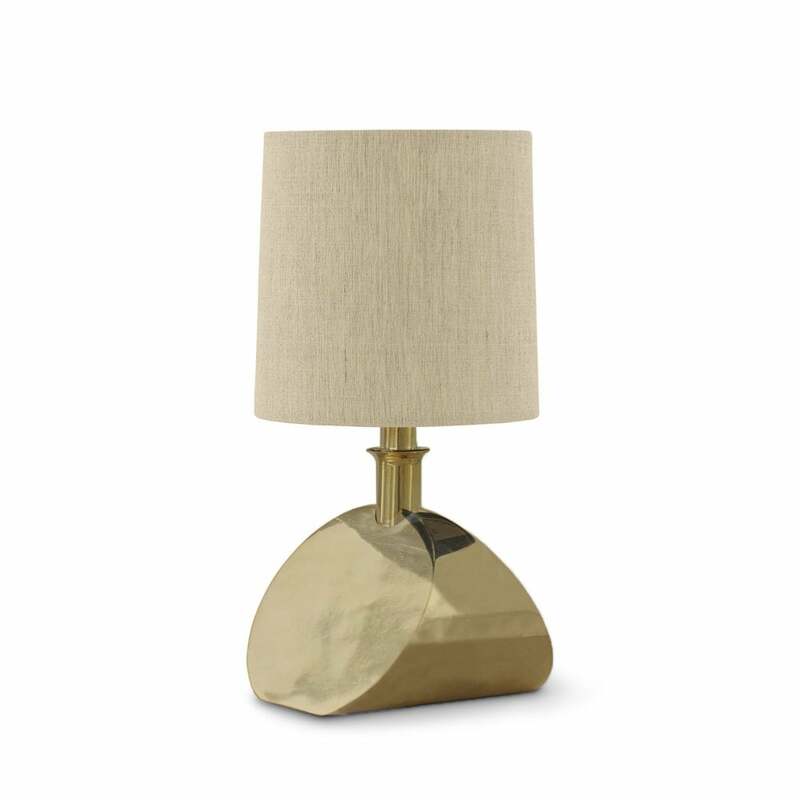 It may be small in stature, but the Sway Lamp from Porta Romana features a solid brass base making it a surprisingly weighty as well as bright. Crafted using only the finest materials, the Sway Lamp has an exquisite, smooth texture that radiates and bounces light around the room. Ideal for vanity tables where space is at a premium or positioned on a display cabinet or bookshelf, the Sway Lamp will add a shot of glamour to any interior scheme. Style with a handmade shade, the character changes depending on the colourway. Choose a light cream for a paired back look or choose a rich amethyst hue as a nod to the opulent Art Deco era. This petite lamp is also suitable for rodding and bolting for use on yachts. Make an enquiry for more information.